I had so much fun this past weekend! I got to meet so man nice people and saw some amazing things! I wanted to share with you some things from Megacon 2017 in Orlando Florida! 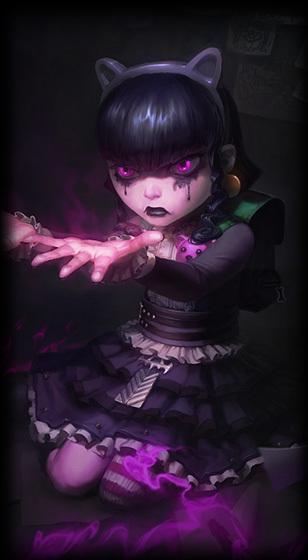 This year, I joined one of my models and friend Amanda Paul in a League of Legends cosplay as gothic Annie! This outfit was so much fun to put together with my own variations. The shirt: I had a white button down collared shirt so I first dyed it black and added some ruffles. The Jacket: I started out wearing a longer purple jacket but it was so hot outside that I changed into just a purple bolero jacket later in the day. The Hair: ok so since my hair was already purple, I decided to get a few extensions and create bangs. Due to the way my hair is cut, I couldn't clip them into my hair. Instead, I put them on an elastic headband. This worked very well, stayed all day and was super comfortable. The Bear (Tibbers): This was originally a brown bear, but using rubbing alcohol and black permanent marker he was dyed. Fabric dye didn't seem to take and instead turned him green. Since Annie is a child, it didn't require much in the way of contour or highlighting. For this look, I used only a few products. Foundation: I wanted to make sure it lasted all day and covered everything without having to apply layers of concealer so I went with my dermcol makeup cover. and setting powder. Eyes: So I haven't done an eye look like this since high school and it brought back some memories heh! I used just a basic back shadow and MAC Paint pot. First, I lightly applied the MAC paint pot in black all over my eye, smudging it out and giving that smoky look. Then I went back over it with black shadow blending it out to my brow bone. For liner, I took my Prestige Total Intensity liner in black and applied heavy to the top and bottom lash line. I then took my finger and 'pulled' the liner down the bottom lash line toward my cheeks and smudged. A little black on the brows and black lipstick and I was done! Here are some pictures from the event! I hope you enjoy! with the lovely Amanda Paul!